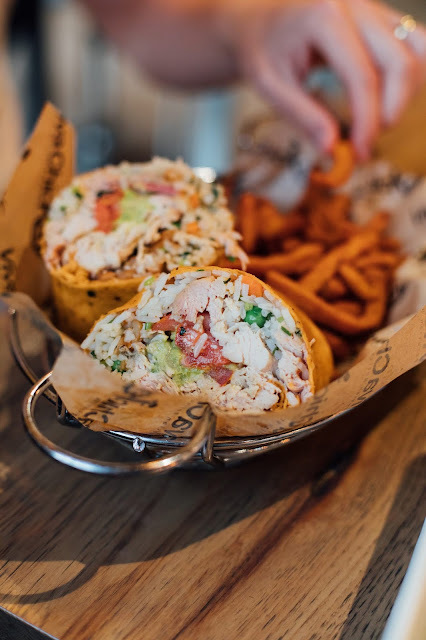 *This post is written in partnership with My Place Hotel St. George. All opinions are my own. 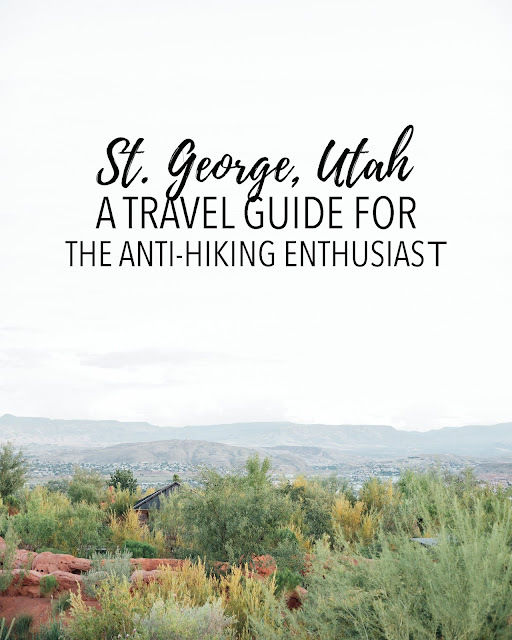 I've only been to St. George a handful of times in my adult life, and if you're a long-time follower of this blog you might remember the time a few years ago when we went for a long weekend with some friends and I got bamboozled into hiking Angel's Landing. That experience has haunted me for years (😂 only kind of joking) so when Stephen and I were presented with the opportunity to go down to St. George a couple weeks ago and be hosted by My Place Hotel for a few days, I was ecstatic! . . . And also determined to stay FAR FAR away from any national parks/potential hiking situations that may come about from being in such a highly "outdoorsy" area. Thankfully Stephen had had the opportunity to go hiking with a friend a few weeks prior, and he also knows his wife and is a very understanding and supportive husband ;) so he didn't push me on this issue in the slightest. Just in case you, too, are headed to St. George for a couple days and you happen to share my aversion to spending hours and hours in the hot, hot sun, huffing and puffing, stinking and sweating, all to see a 'lovely' view that could have been just as easily enjoyed by looking at a postcard (I'm certain people like me exist!) THIS POST IS FOR YOU. I'd heard about Tuachn, St. George's outdoor live theatre, for YEARS but had never had the opportunity to attend a performance there. 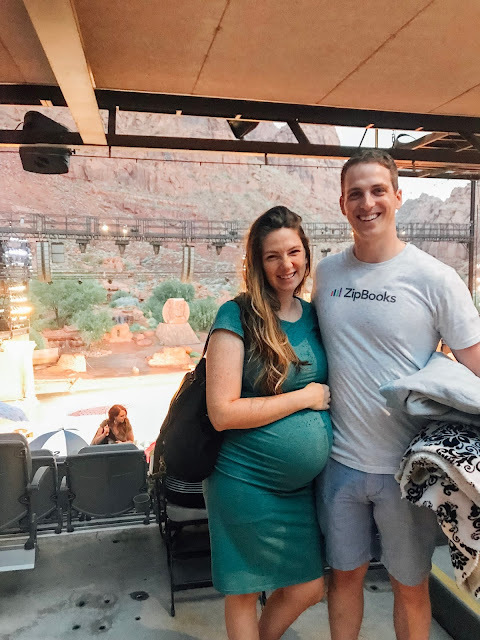 Although the tickets can be a little pricey, we were treating this little getaway as a "babymoon" of sorts and decided to splurge so we could finally experience outdoor live theatre with the striking red rock that almost surrounds the stage. The setting was unbeatable. We ended up getting a little more than we bargained for when it started POURING rain only a few hours before the performance. 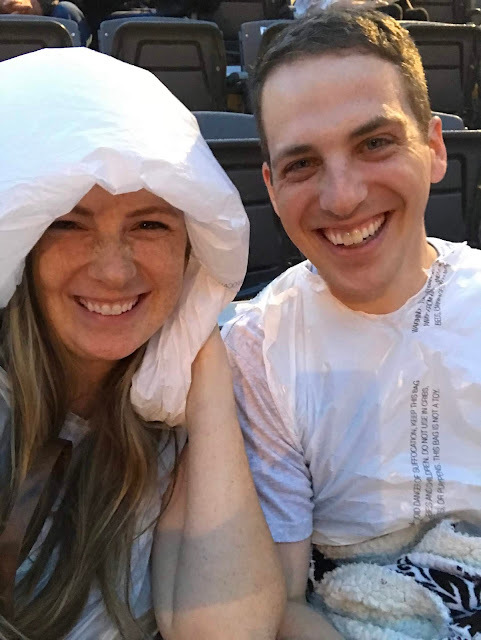 The show ended up being delayed about 40 minutes, time which we spent sitting in our seats with trash bags on as ponchos. Despite the rain and the delay, the show, as they say, "MUST GO ON!" and it did! And we were very grateful! The acting and special effects were INCREDIBLE. The script of the particular play we saw (The Prince of Egypt) wasn't my favorite, haha, but the undeniable talent and jaw-dropping special effects (we're talking fireworks, projections, flooding the stage) AND the fact that they had live animals, was all enough to make the experience well-worth it and I would definitely go back. One of the nights I had Stephen take me on an "official" date (which you wouldn't think it, but is actually kind of a long story for another time hahaha). 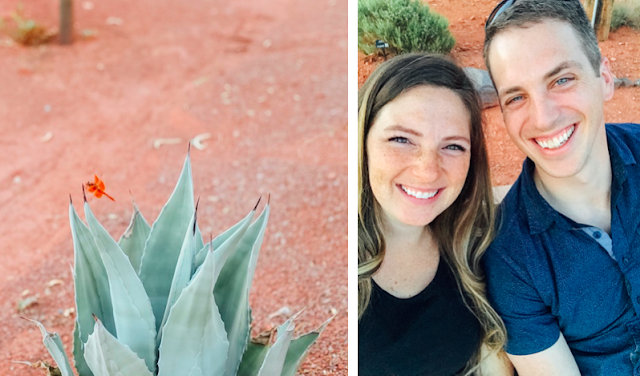 He took me to the Red Hills Desert Garden and it was beautiful! We walked around for a bit (and were very impressed with how pretty/clean/organized it is for being a free attraction!) and then sat on a bench and talked as the sun set! I highly recommend going there to watch the sunset, it was gorgeous. This might be a shocking idea for some, but many breathtaking St. George views can be appreciated from the comfort of the shade and blessed air-conditioning of your very own car! (That's right: no sweating required.) There is something truly striking about green trees and bushes in front of a vibrant red-rock landscape and isn't it great that they can be seen through a window?! One afternoon we drove down Red Hills Parkway and even got out at one point to enjoy the view. We ended up at the St. George Sugarloaf and took the drone for a spin (only to realize we'd forgotten the SD card at home 🤦🏻‍♀️). After a few short minutes we'd had enough of the heat and resumed our lovely drive around the city admiring the views. Do I need to reiterate the fact that views are still magnificent with a thin sheet of glass in front of them?! St. George is rich with history, so a great place to check out is the LDS temple visitor's center and/or Tabernacle. We were fortunate enough to spend a good chunk of one morning in the St. George temple, despite the fact that Stephen forgot to bring a white-shirt and tie! (They rent them for you if you forgot yours!) If you are unfamiliar with the LDS faith, the temple Visitor's center is full of information about the church as well as a lot of historical information about the founding and development of St. George. Being six months pregnant with two toddlers at home, I don't have much time during the day to simply do "nothing," and man! It was a good feeling! 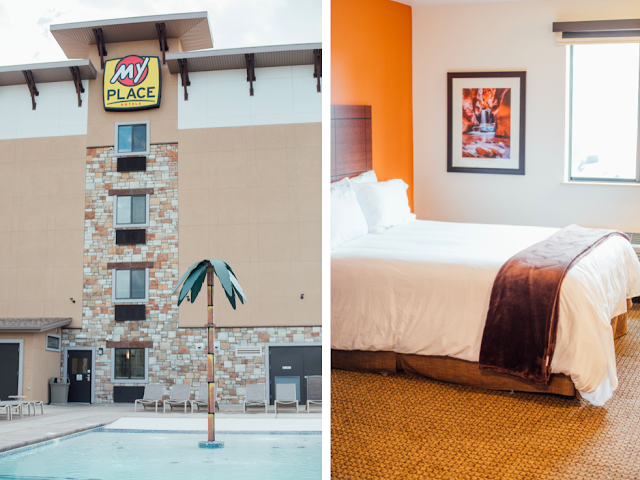 My Place Hotel graciously hosted us for this little getaway and I wouldn't have changed a thing! Overall, we loved our time in St. George and honestly can't wait for another little getaway like that one! We keep joking that literally the only thing we would have done differently was make it a few days longer! (..except, we're not joking 😜). A RAMBLY UPDATE ON LIFE AS OF LATE.